The Court of Arbitration for Sport [CAS] will not reveal a decision over the alleged Essendon doping scandal before the week commencing January 11. WADA challenged the AFL anti-doping appeals tribunal's decision regarding Essendon to CAS in May. WADA acted after the Australian Sports Anti-Doping Authority decided against appealing that finding, with any players found guilty possibly facing a two-year ban. 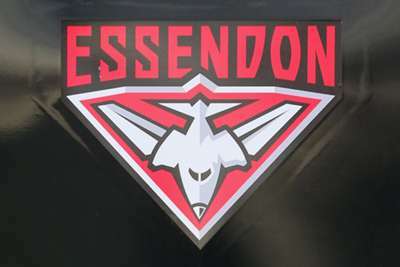 A CAS statement said: "Following a consultation with all parties concerned, the Court of Arbitration for Sport [CAS] has confirmed that it will not issue its decision in the arbitration procedure between the World Anti-Doping Agency (WADA) and 34 current and former players of Essendon FC before the week commencing 11 January 2016. "The procedure concerns an appeal filed at the CAS by WADA against a decision issued by the Australian Football League [AFL] Anti-Doping Tribunal dated 31 March 2015 in which 34 current and former players of Essendon FC were found not to have committed an anti-doping rule violation. "In its appeal to the CAS, WADA requests that the challenged decision be annulled and replaced with a new decision in which the players are found to have committed an anti-doping rule violation and sanctioned accordingly. "The Australian Football League [AFL] and the Australian Sports Anti-Doping Authority [ASADA] are interested parties in the proceedings. "The CAS Panel in charge of this matter held a hearing in Sydney, Australia from 16 to 20 November 2015 and has since been deliberating and preparing an Arbitral Award which contains its decision. "The Arbitral Award is currently being finalised and is likely to be notified to the parties during the week commencing 11 January 2016. The exact date of notification will be announced in due course."